It is a comprehensive free screen recorder software where you can do full region screen capture, region capture, window capture, scroll capture, audio capture in a high quality manner. 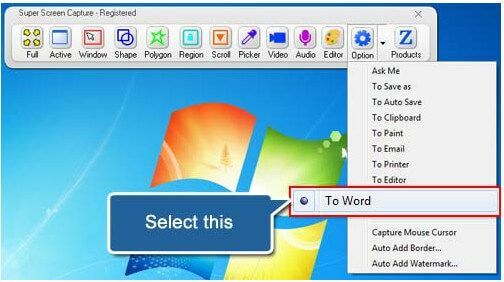 Do screen capture with more than 10 ways and it has a easy to use interface. You can capture video in a different file format which includes AVI and WMV file format. There is also option to capture screen audio into avi, from pc microphone, speaker and line in. 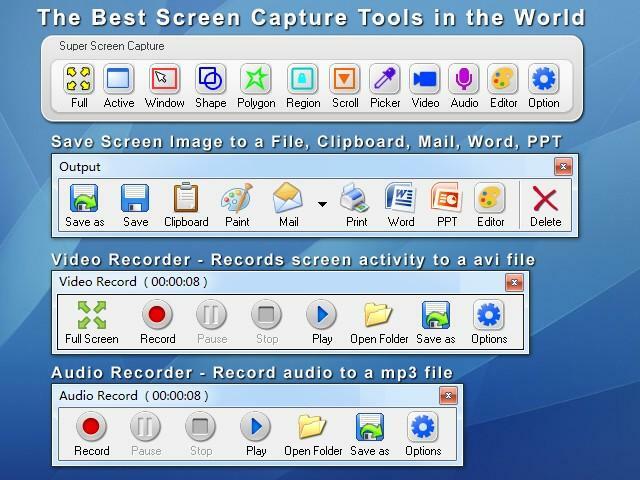 Super screen recorder is compatible with Windows XP, vista,7, 8 or Win server 2003 and 2008. 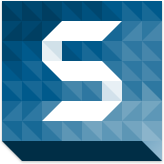 It allows you to embed text, PNG picture, personalized signature, company logo and more to your video. There is also option to adjust setting like color, size, opacity, rotate and more. It is the best solution to protect copyright of your video and add a professional watermark with PNG or type the word to watermark your screen videos. You can screen capturing in a 720p or 1080p HD quality and also use the exporting option to burn the HD video file to DVD or share it online. There are many pre-defined size of the video and it is easy to share it on social media sites like Youtube, Facebook, twitter and more. You can also include audio in your video from microphone or from computer system. The hot keys are used to start record, pause record and stop record. This feature does screen casting automatically by setting start and stop time manually. It does recording without your presence and do other work when the recording takes place. You can record the important video, audio or any other file. If you record lot of video files that you want to manage them and this might be the right function. You can delete, open, move and share the video file. You can also downsize the captured videos to keep it in good quality and watch your videos on YouTube as well as mobile device. Super Screen Recorder lets you to reduce the large file size of the video and choose different codec to record your video. You have the option to choose any codec available in the system and also change compression option like quality, key frame rate and more. It is used various department like business, education, marketing and more. In education it is used for creating online tutorial and to create video by making interactive session among students. Coming to business, it requires sharing of information to other and it is best the source to reach large number of audience. This program is also very essential for travelling professional where you can share the information to other wirelessly. Finally in marketing, create videos to attract large number of customers and it is used in other purpose.